You’ll find that the skin on your neck will show your age even more than the skin on your face. It’s time to change that! By using the best neck cream for your skin’s needs, you can effectively lift and tighten your skin to make it appear years younger. For a limited time, use code “TIGHTEN” at checkout for an unprecedented 25% off ANY neck product! Let’s be honest, the only ones looking cute with neck wrinkles are these dogs! 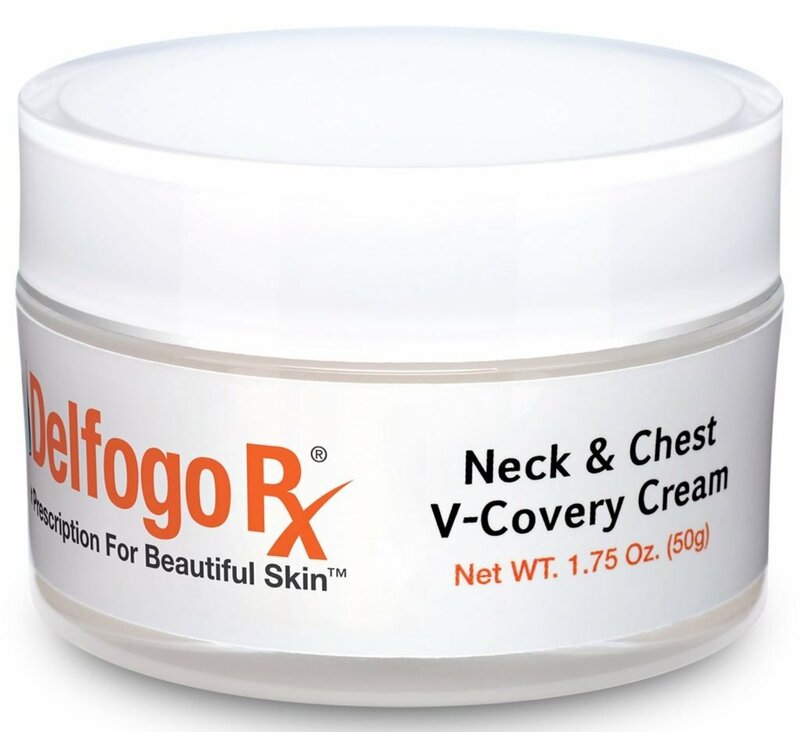 What is the Best Neck Cream for You? We make three decollete products aimed to help tighten and firm the skin on your neck. Why would we make three of these products, you ask? We realize that people have different skin types, and therefore they react differently to different types of active ingredients. You spend time, money, and effort taking care of your gorgeous face by applying sunblock, vitamin c serum, and eye cream. However, if you skip over a proper skin care regimen for your neck, you’ll truly show your age by leaving this delicate skin to be exposed. This leads to frail, sagging skin on the neck. In fact, there is a common terminology in our industry for this, and it’s turkey neck. This happens because the skin on your neck is highly unique. When compared to the skin on your face, it has less oil glands. This means it doesn’t have the same ability to regenerate and heal. With the skin on the neck also being thinner, the signs of aging are much more visible in comparison to facial skin. We formulated neck creams with these facts in mind. Tailoring products to target the skin on each part of the body has been a part of our game plan for quite some time, it just happens to be the skin on the neck is among the most sought after areas of treatment due to the difficulty in keeping it looking healthy naturally. All of our specialized creams target sagging skin and aim to add tightness while evening out skin tone and re-texturizing crepey skin. Below are three products that aim to solve problems with loose skin on your neck. They are formulated entirely differently for various reasons. Read below to find the proper product for your skin type and goals. #1: Our Best Selling Neck Firming Cream is Actually a Serum! Launched in early 2018 under our growing Medical Grade Skin Care brand, this tightening serum features the powerful combination of ARGIRELINE®, Retinol, and Hyaluronic Acid. It’s no secret that we’ve always been a company that has not been afraid to use a serum, when the rest of the market is making creams, and this product is no different. Directions for use: Apply liberally on your neck twice daily after cleansing. This product was among the first releases under our SkinPro flagship range of skin care products. 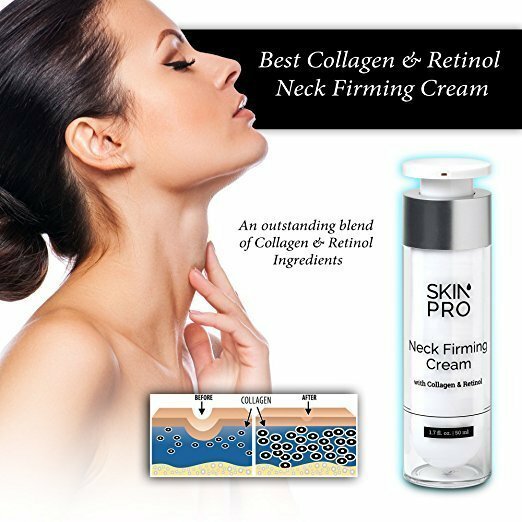 This collagen and retinol cream acts as a firming cream for the neck. Do NOT use this product if you have any reaction to retinol creams, because you may find sensitivity. It’s very powerful and aims to lift, tighten, and rejuvenate aging skin around the neck and decollete. This product is mainly used by fans of cream-based emulsions who can’t use a retinol cream. 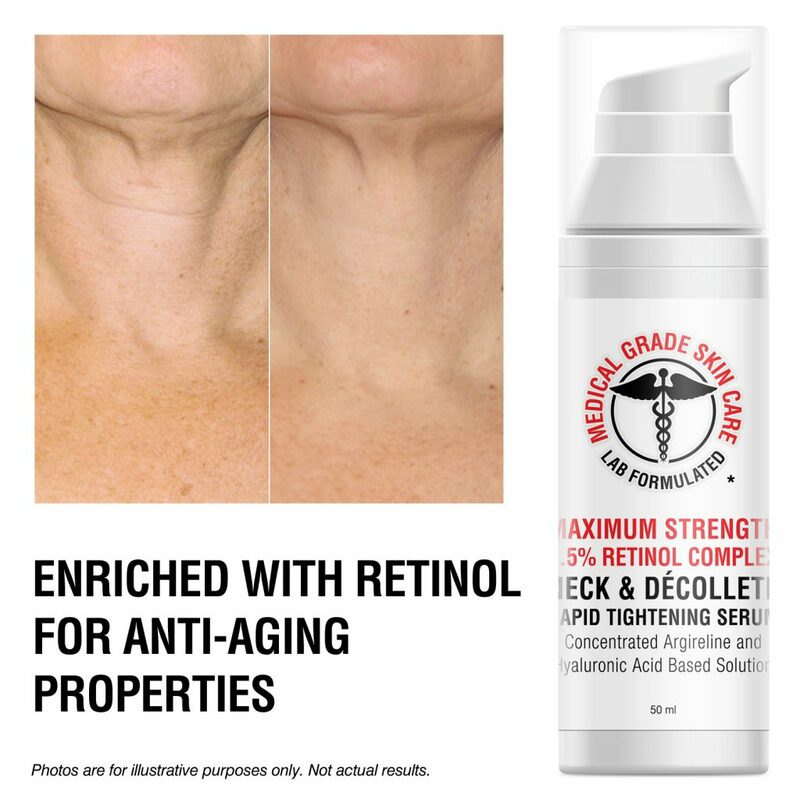 If your skin can’t handle the side effects of retinol due to sensitivity, this is the perfect neck firming product and perhaps the answer to your sagging neck line. No matter which neck cream you choose to buy, you are making the right decision. I commend you on not overlooking the very important, brittle skin that appears on our necks and on our upper chest. If you have any questions, please feel free to contact us by sending us an email.